It feels like January may never end, and today’s snowstorm isn’t helping much…. 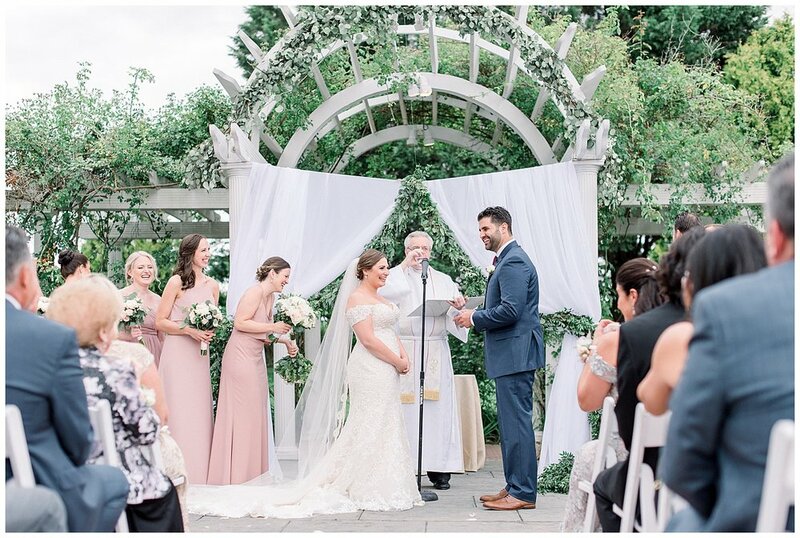 but that won’t stop us from sharing this romantic summer wedding at the Vineyards of Aquebogue! 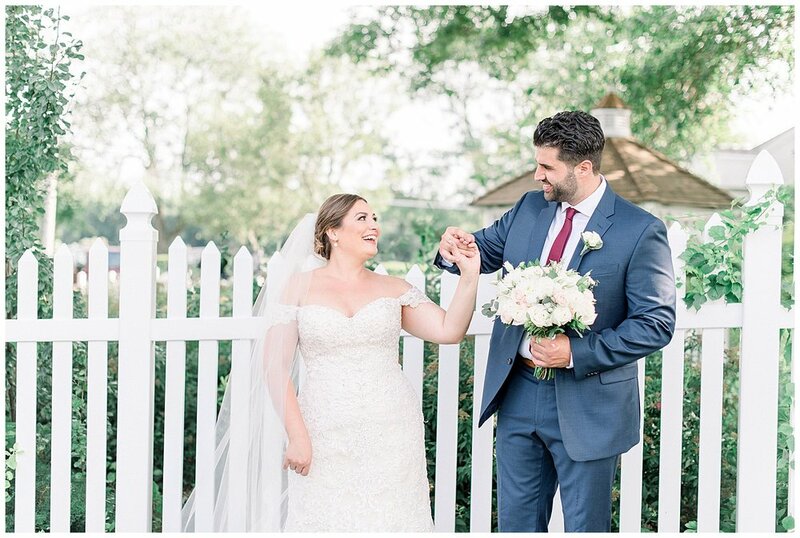 High School sweethearts Danielle and Biagio brought their dream to life with the help of Keri of Cassi Claire Photography, and we’re swooning over the warm color palette, soft textures, and of course, that gorgeous off-the-shoulder lace gown! 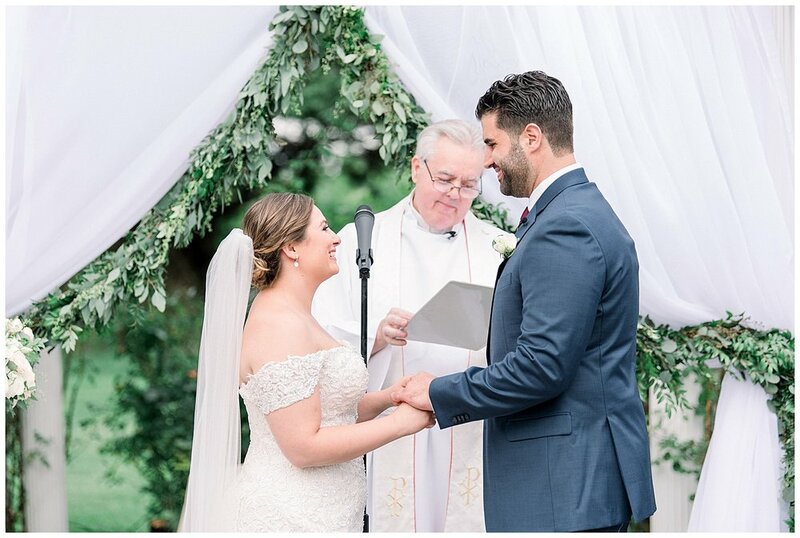 This wedding feels so joyful and authentic, we can’t help but smile right along with the happy couple. 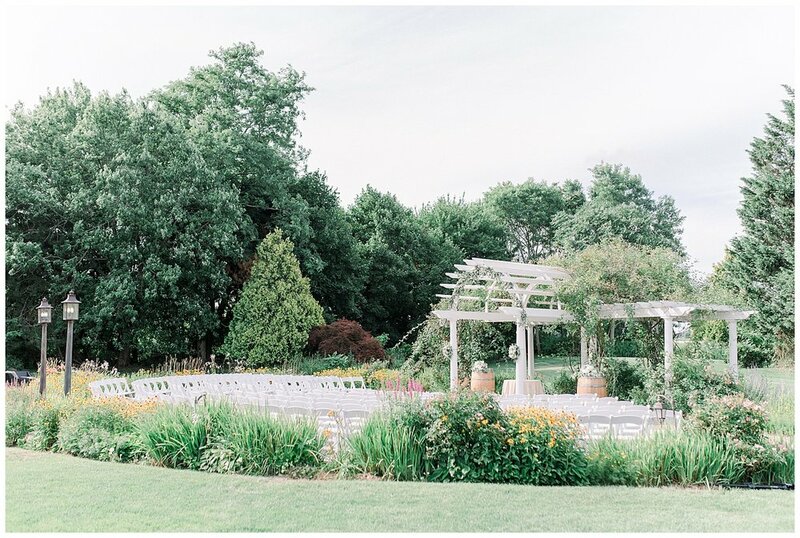 If you need me, I’ll be here dreaming of our next North Fork Vineyard tour. Enjoy, friends! 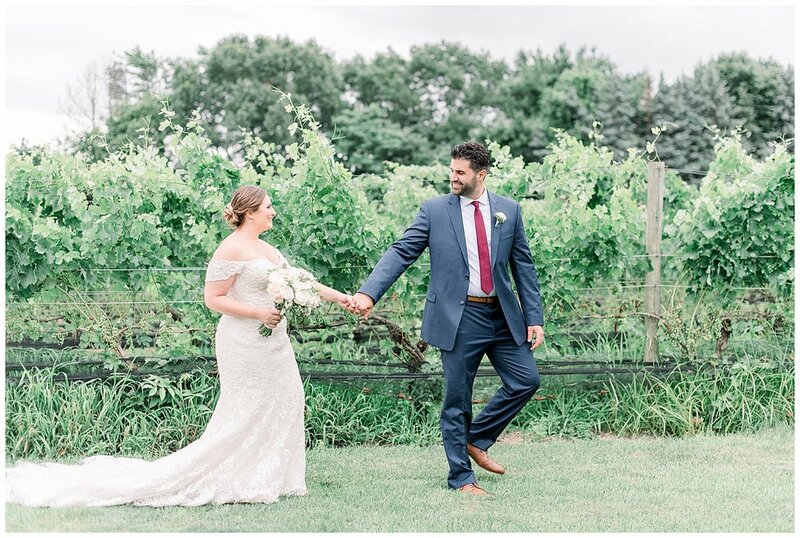 From Keri: High School sweethearts, Danielle and Biagio were married on a perfect summer day at the Vineyards of Aquebogue on the North Fork of Long Island. 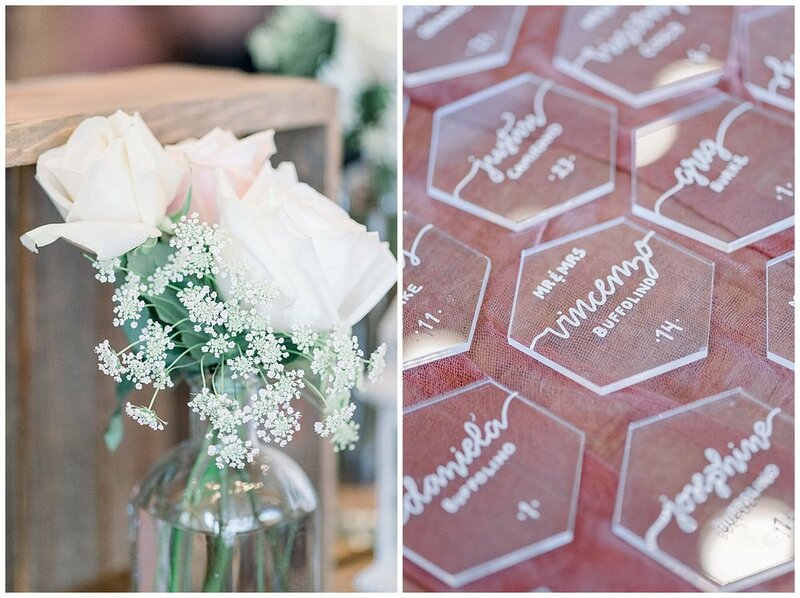 The couple wanted to create a romantic feel with soft touches that would compliment the vineyards. 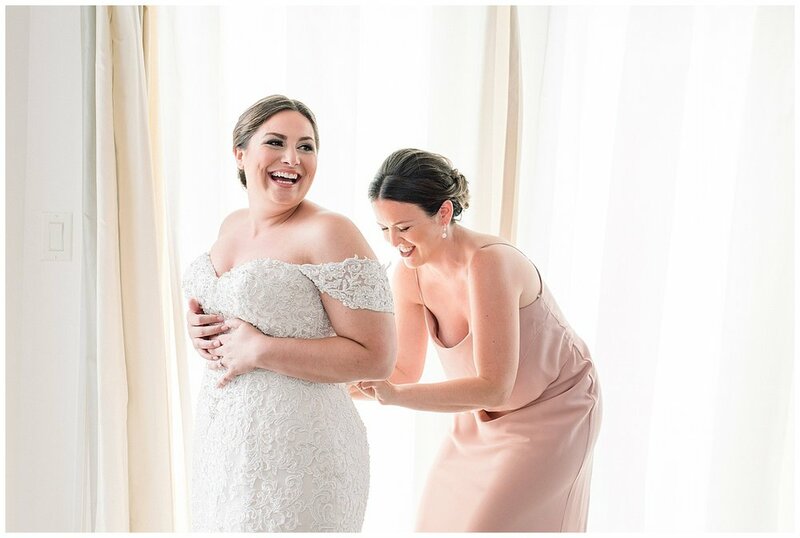 The day began at a house in the Hamptons right on the water with the girls hanging out, getting ready, and having fun before the big ceremony. 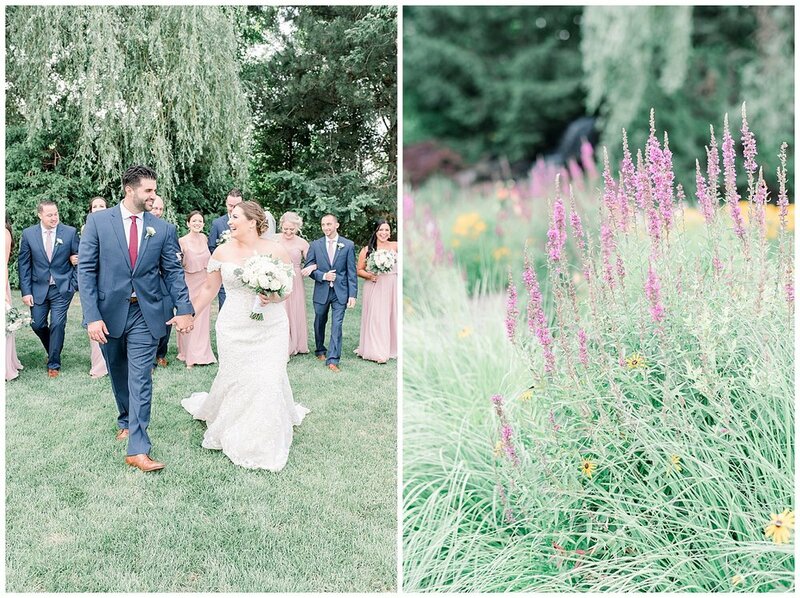 The couple had their First Look among the vines and then we explored the grounds of the venue on a cute little golf cart. 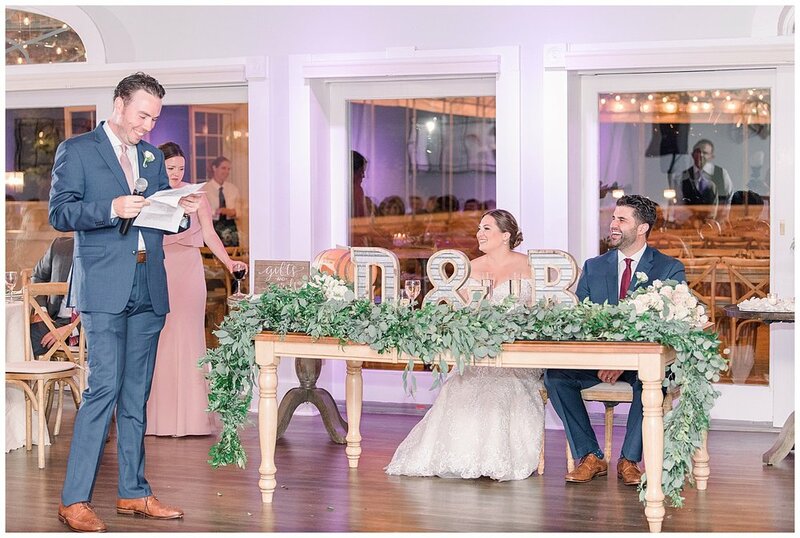 After an intimate ceremony it was party time! The covered porch off the ballroom was the most beautiful cocktail hour location. 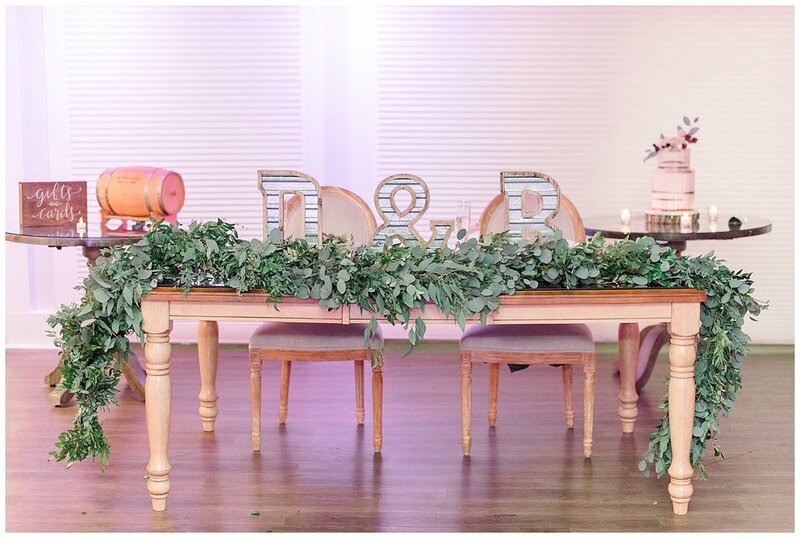 The reception was decorated with flowers of blush, cream, wine, and some greenery. 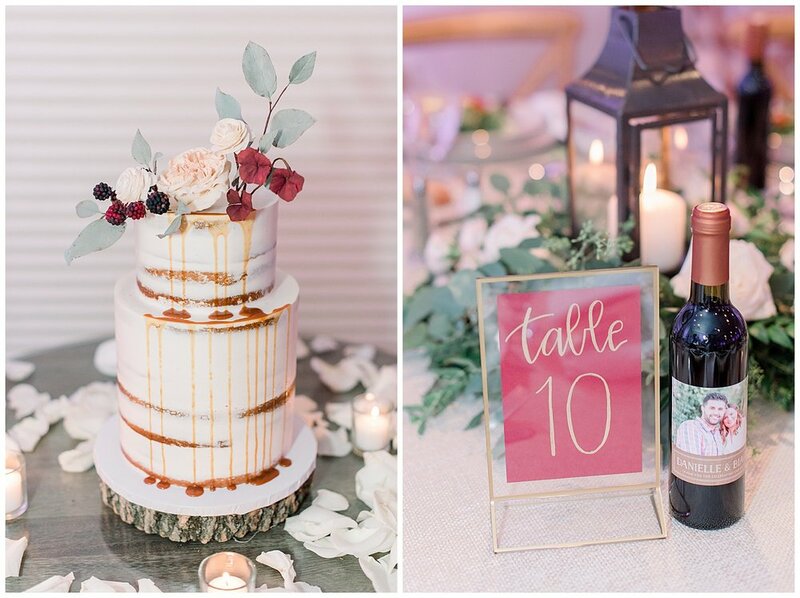 Gold accents complemented the centerpieces. 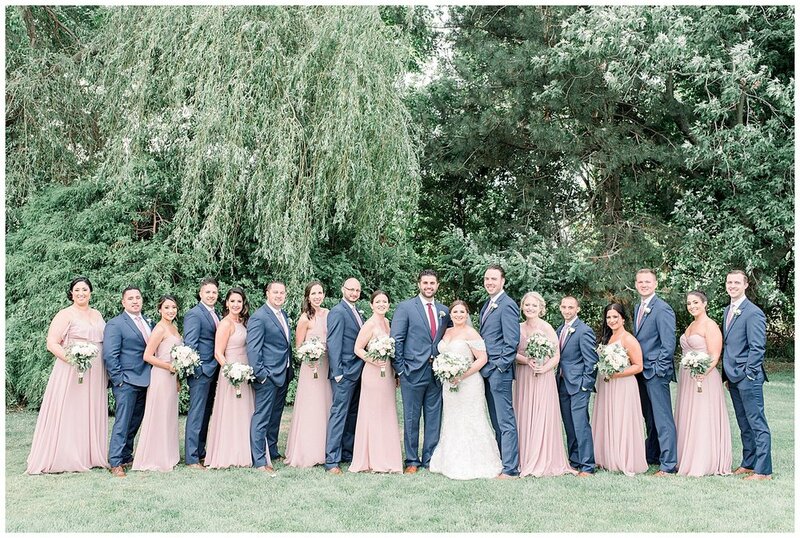 The bridesmaids wore their choice of Jenny Yoo dress style in whipped apricot. 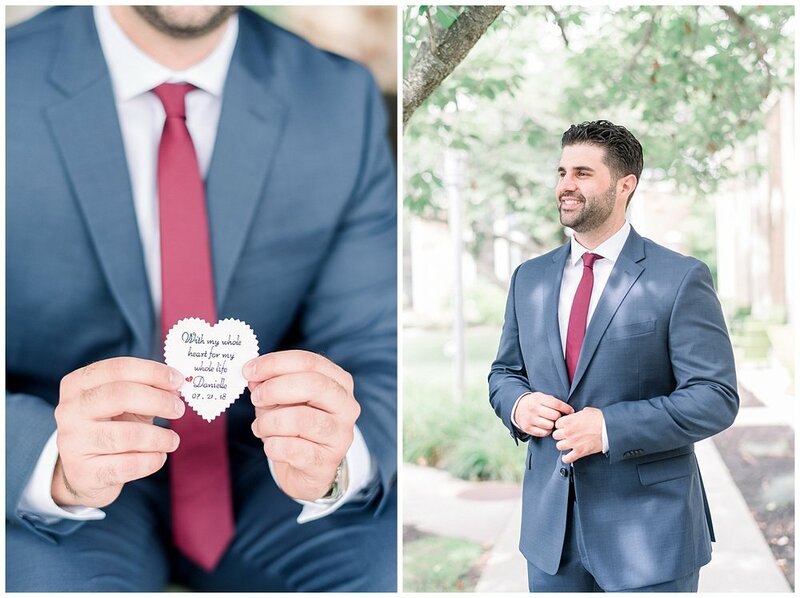 The groomsmen wore navy Tommy Hilfiger suits with brown shoes and mauve colored ties.